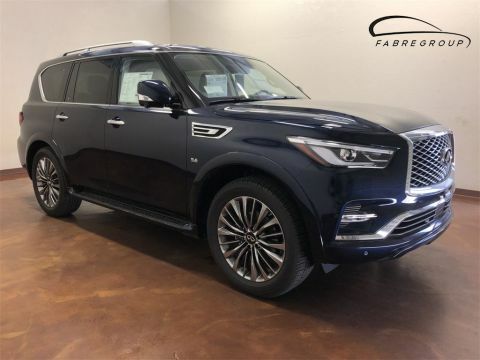 Equipped with a 5.6-liter 400 horsepower V8 engine and 3rd row seating, this vehicle has plenty power and room to get you and your family where you want to go. It is RWD, front and rear independent, double-wishbone suspension with a towing capacity of 8,500 lbs. Standard features on this LUXE trim level include INFINITI InTouch Navigation with Lane Guidance/3D building graphics and Voice recognition for navigation functions with an 8-inch high-resolution touch-screen color monitor, Detailed city map view (where available), SiriusXM Traffic, SiriusXM Travel Link, INFINITI Voice Recognition, INFINITI InTouch Services, Hands-free text messaging assistant and HD Radio. These are all features making it quick and easy to find your destination and making this vehicle safe and easy to drive. The vehicle also has INFINITI intelligent key with illuminated push button ignition and remote engine start allowing the vehicle's cabin temperature to be adjusted to counter harsh climate conditions outside. 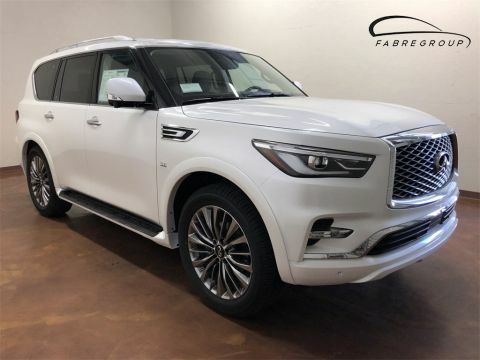 It has 20" aluminum-alloy wheels with all-season tires enhance the appearance of the vehicle as well as body-color running boards with integrated splash guards. It comes standard with a full size spare time. Moving Object Detection provides visual and audible warnings when a moving object is detected within the displayed Around View Monitor image. 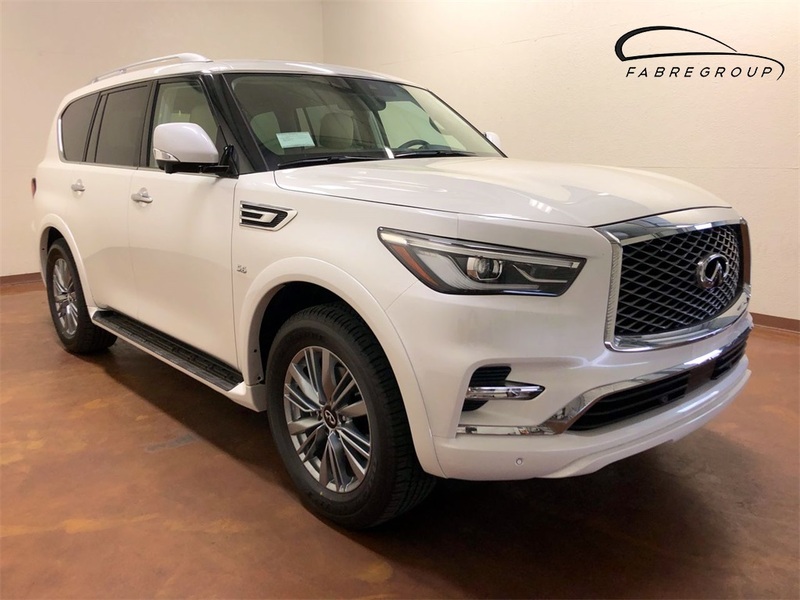 A power sliding tinted glass moonroof, stainless-steel rear bumper protector, roof rails, aluminum kick plates and a carpeted cargo mat are also features adding to its style. Power windows, door locks, powered lift gate, leather seats, heated front seats, fog lights, tinted glass, tow hitch receiver, Leather-appointed bucket seats, 10-way power driver's seat including power lumbar support, Entry/exit assist, 8-way power passenger's seat including power lumbar support, heated seats, heated steering wheel, leather door trim, Stratford Burl interior trim, 2nd-row heated seating are Captain's chairs and recline and 3rd-row seating has 60/40 split fold-down seats. Also, standard is a Bose system, streaming audio via Bluetooth, Bluetooth Hands-free Phone System, USB port for iPod and compatible devices, temperature control system, tilt and telescopic power adjusted steering wheel, four 12-volt power outlets, welcome lighting, cruise control, HomeLink Universal Transceiver and much more are all standard equipment. 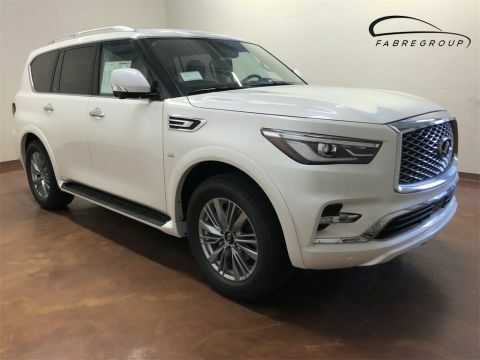 Added as standard equipment in the 2019 models are Forward Emergency Braking with pedestrian detection and Predictive Forward Collision Warning. Predictive Forward Collision Warning alerts the driver to a potential collision with a vehicle traveling in front with visual and audible warnings. Forward Emergency Braking will automatically engage the brakes to help avoid a collision or mitigate the effects of an impact should it occur. Dealer added premium paint enhance the vehicle's appearance. Call (225) 435-8030 for more information or view your new INFINITI online at www.INFINITIbr.com. We are located on Airline Highway just 1 mile south of Woman's Hospital. Stop by and let us show you the true meaning of "EMPOWER THE DRIVE"!